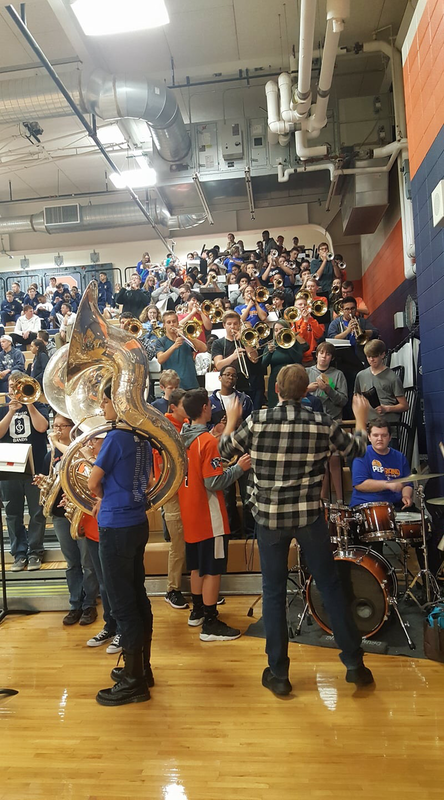 The Oswego Pep Band is a group entrusted with the responsibility of keeping fans pumped during our basketball games. We play during pregame, timeouts, between quarters, and during postgame. This is by far our most low key ensemble, with rehearsals occurring before the games. This year is our biggest band ever, at over 110 kids!! !